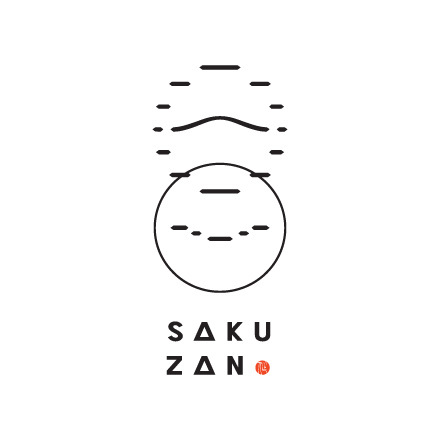 Located within a 5-minute walk from the JR Chuo Honsen Tokishi Station, at the entrance of Toki city is Kakuyama Seitojo. On weekends, many visitors arrive from other towns and prefectures. 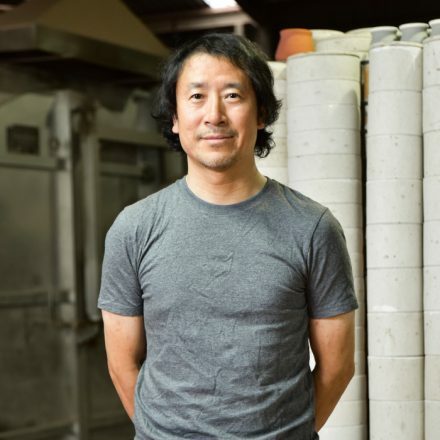 They come to take Makoto Ito, fifth-generation president’s, pottery class. More than 250 people come to visit within the year to enjoy making potteries. 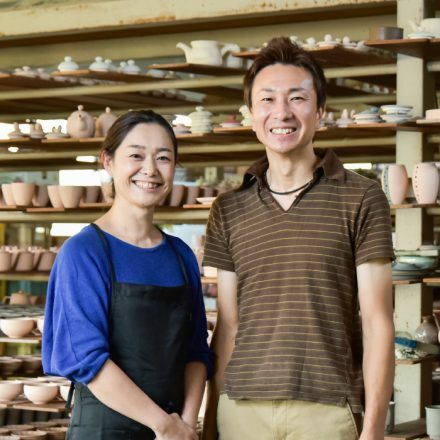 Established in 1897, Kakuyama Seitojo is a small pottery with 3 workers, Mr. and Mrs. Ito and one other craftsmen. They had been making Japanese tea cups and rice bowls which was widely produced in the area. It is all custom made, they form the clay one by one with the jigger and trim and paint by hand. Their built to order items like their lampshade and decorative figurine are made carefully by hand and gaining popularity. 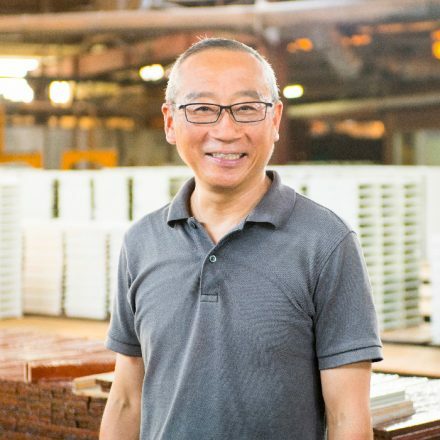 On the other hand, Mr. Ito who keeps the tradition and techniques, felt the changes in market demand. 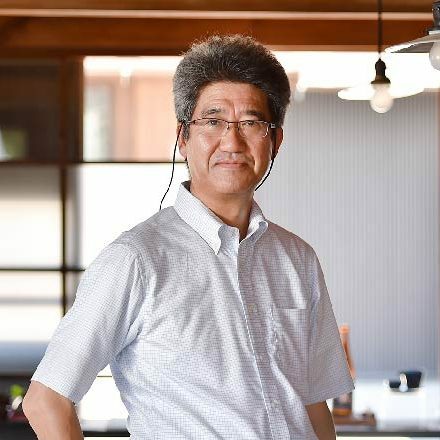 “Times have changed and nowadays, people use a mug for both tea and soup.” We still take orders of traditional Japanese tea cup, but the demand may decrease. We have to find something new being a small pottery. What should we do to liven up Minoyaki and Toki city? “McDonald’s CEO talked about his theory that if people eat McDonald’s before they are 3, they will eat it for the rest of their lives. Hearing this has made me want to do something with pottery. 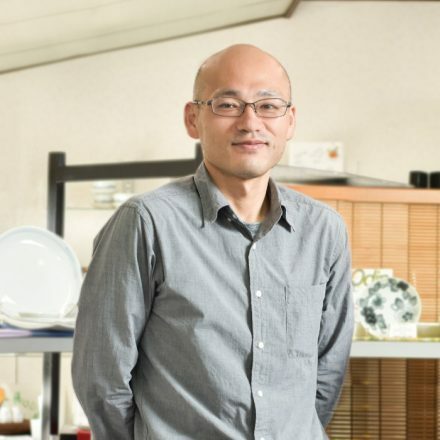 Once people have experience to make pottery, I thought they may value the pottery for their entire life.” First, he wanted to invite people from other towns to try pottery. 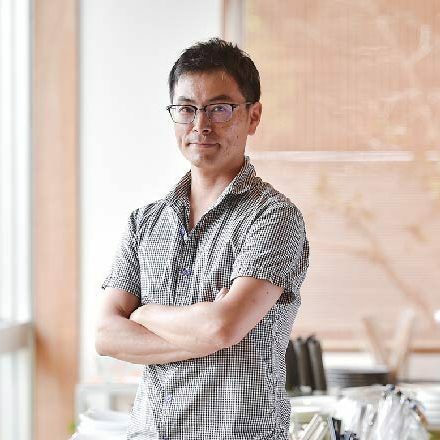 Using his experience of teaching pottery at events, he started a “Pottery class”. There are two classes, one is using a pottery wheel to form clay and the other class is hand painting which is easy and kid-friendly. Mr. Ito’s friendly character brought popularity to the classes. “Be gentle as if you are holding your Boyfriend”, “Put your hand lightly around here as if holding an egg”. Sometimes adding in some jokes, Mr. Ito concentrates to help behind the scenes. “It’s easy to make pottery with my help. The potteries may turn out weird and warped but I want people to remember and enjoy this experience.” Participants are a little confused with their first-time handling pottery clay, but still all are smiling. 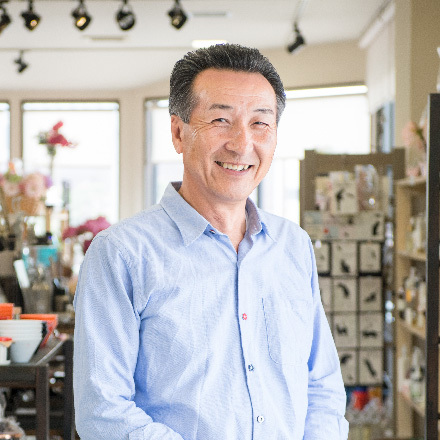 Not only the good location and Mr. Ito’s pottery class but also Kakuyama Seitojo’s quaint atmosphere brings people to the location. Having a “Doma” which is a dirt floor area common in old Japanese style homes and the building itself resembling a “Nagaya” or Longhouse. There are rice bowls and Japanese tea cups waiting to be fired all along the walls. On sunny days, these are dried in the sun. Visitors get to make their pottery next to the craftsmen who is forming or painting the pottery by hand. There you can see a potter’s everyday life which is not widely known. 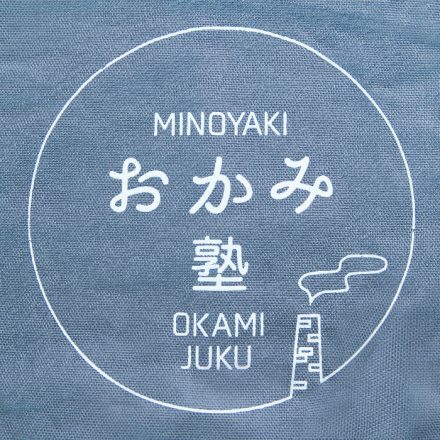 Visitors will get to experience with their five senses being in the place where Minoyaki is born. That’s why people keep coming to have such a unique experience. Finding a new path to survive in a decreasing market as a Pottery Class. 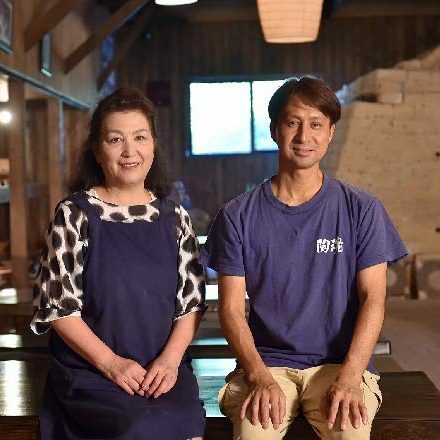 This new path leads not only Kakuyama Seitojo’ s future but also Minoyaki and all of the pottery industry’s future. 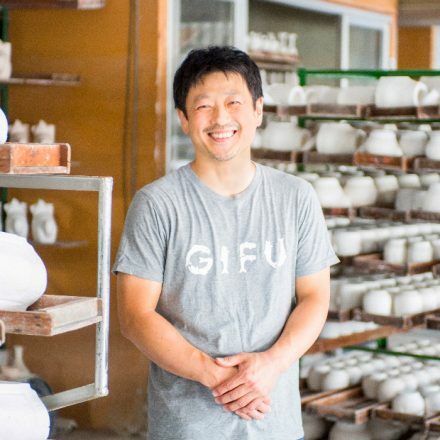 Furthermore, Mr. Ito is thinking to train a new-generation of potters. 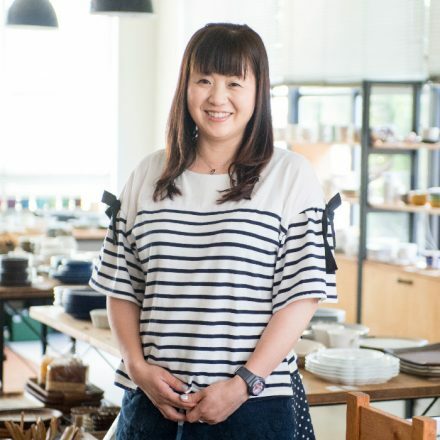 “I think it’s a nice idea to let potters I teach use the facility to make their own works when they have some spare time.” To pass down the attraction of Minoyaki through “making” it. 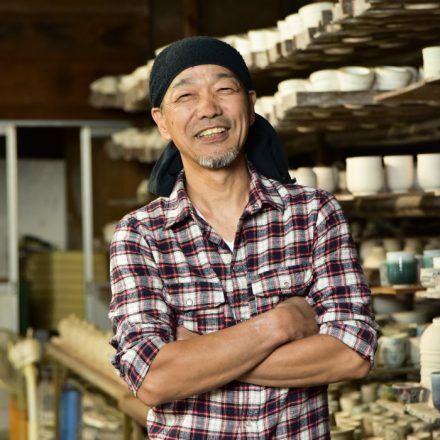 His passion for Minoyaki is spreading steadily from this small pottery.